IGNOU is the university which was established in the year 1987. It comes under act of parliament 1985. When this university started, only two courses are available here. One of those is diploma of management and other is diploma in distance education. In the starting session of IGNOU, more than 4500 candidates took admission under both courses. With passing time, candidates are increasing each year and IGNOU also become most famous University for providing distance courses. In the coming session, candidates who are interesting to take admission in IGNOU, should have to visit www.ignou.ac.in . This is official webpage of IGNOU and all information related to entrance exam, admission procedure, admit card, result and many other necessary information. Student section is made on this webpage so that all students get enrollment from there and use this to finding any information. These days, many of candidates are here who want to get higher course completion degree with continuation of their job. But, all educational institutes do not provide this facility that continues your job with course degree. There is one educational institute which is IGNOU University. IGNOU is acronym for Indira Gandhi National Open University which provides distance learning courses for all type of courses. Candidates can get degree course for all graduation courses and post graduation courses. 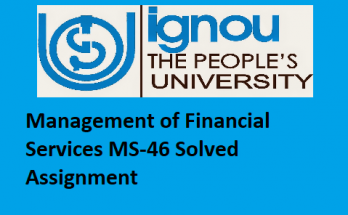 Every course is offered at IGNOU with effective educational fees. Some of the main courses offered at IGNOU are BA, BBA, BCA, B.com, B.sc, BBM, LLB, MBA, MCA, MA, B.Ed, M.Ed, M.com, M.sc and others. In the session 2017 – 2018, thousands of candidates take admission in all courses. Many candidates also took admission in Bachelor of Computer Applications (BCA). In IGNOU University, Both mediums (Hindi and English) are offered so that candidates may take admission in their desired medium. Curriculum of IGNOU states that every enrolled candidate has to submit assignments before the expiry of validity. Respective staff members upload assignments on webpage so that all students can download their assignment from student section. Candidates, who are part of Bachelor of Computer Applications (BCA) thought in English, also have to submit assignments. Questions in assignment are divided into three sections which are Section I, Section II and Section III. In section I, two descriptive questions have given and each question consist 20 marks. In section III, 2 questions asked which is 6 marks of each. 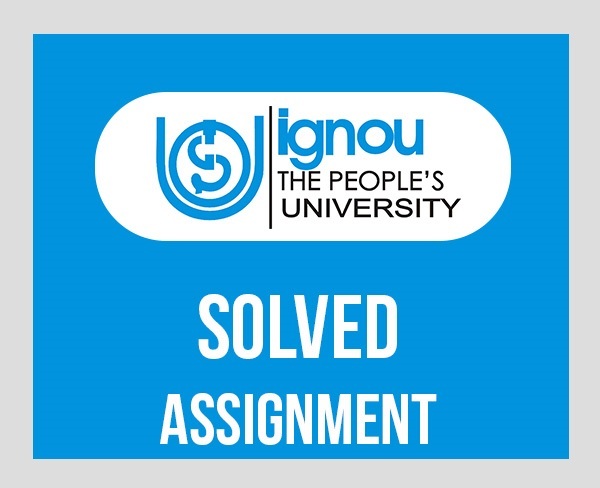 Each assignment in IGNOU curriculum is 100 marks and assignment of BCS 062 e commerce is also for 100 marks. For 20 marks question, candidates have to write atleast 500 words while 12 marks question require more than 200 words. For 6 marks questions, write a short answer note up to 100 words. 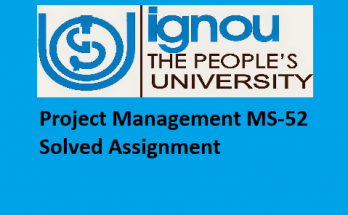 It is mandatory to submit assignment solution in hand written format. If you are looking for assignment solution on the internet, you can get the BCS 062 e commerce assignment solution easily but you have to pay fewer amount.